Say what? Yup, you read that right. There is now such a thing as a smartphone-compatible toothbrush. Off the top of my head, I cannot find any plausible reason for me to need, or even simply want, smartphone-compatible toothbrush. However, it really does exist, and it is called Beam. 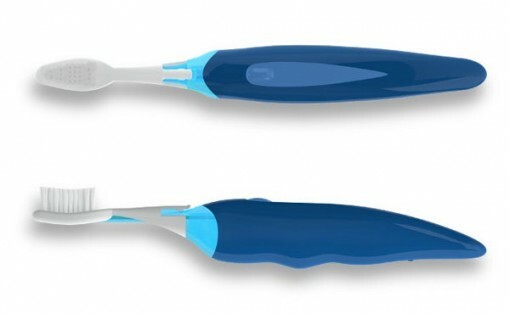 The smartphone-compatible toothbrush is being released next month by Beam Technologies. You would have thought that such a high-tech phone will be the motorized kind, but that is not the case. Beam is going to be just like your ordinary oral hygiene device, except that it can connect to smartphones via Bluetooth. So what is the point of having a smartphone-compatible toothbrush? The answer is so simple it is almost ridiculous! Being able to connect to a smartphone allows Beam to make its owner aware of his or her brushing habits. So how long do you brush your teeth? If you are the average person, it probably takes you around 46 seconds in one go. You probably already know that the optimal period for brushing your teeth is 2 minutes. Hence, Beam. Naturally, the smartphone-compatible toothbrush has an app which transmits how long you spend brushing your teeth and also functions as a timer. If you want a broader perspective, you can even have a graph of your brushing habits generated. Oh, boy. What is this world coming to? Currently, the smartphone-compatible toothbrush will only connect to Android phones, but the company says that there will be an iOS-compatible version soon enough. I honestly couldn’t care less. Are you actually curious about Beam? Check out the product page.